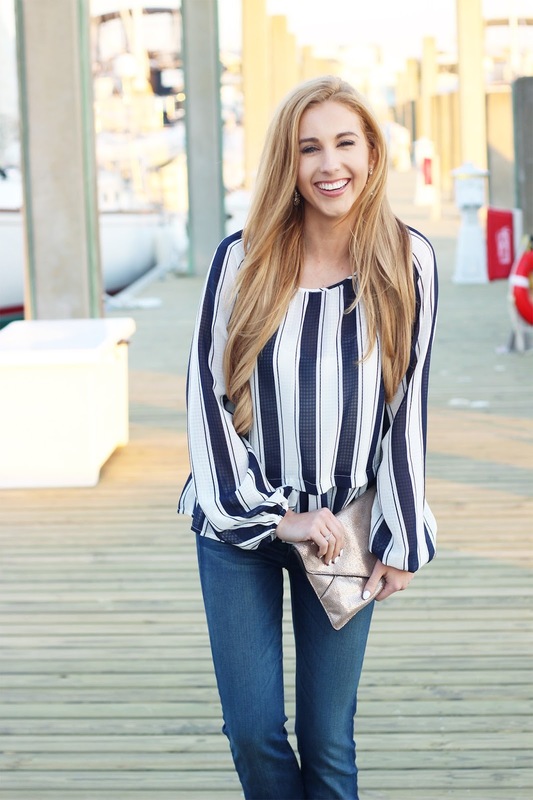 With warmer weather on the way and many of you headed to spring break soon, I figured what better way to take back the blog than with a nautical inspired look!? 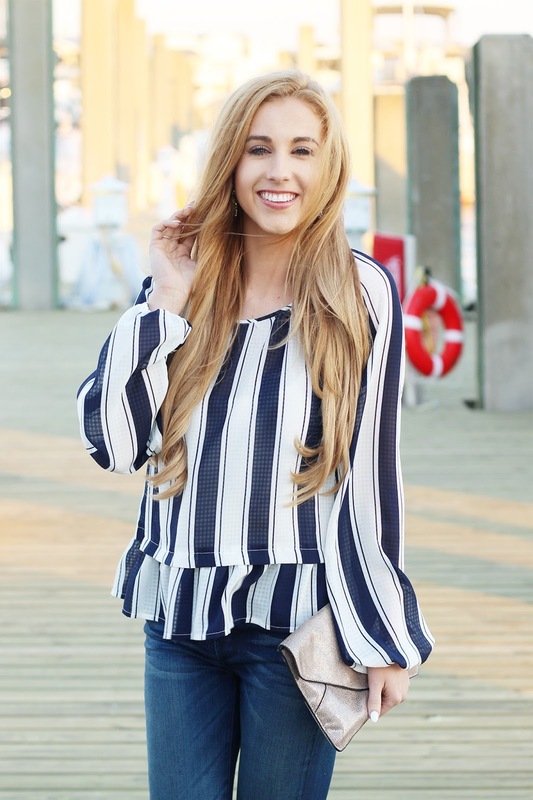 I’ve always been a fan of a simple navy and white combo, so when I saw this adorable, ruffled peplum top I knew it was the perfect way to transition into warmer weather. I love how classic this look is! Speaking of classic, if you are looking for a new go-to sandal… This is the one! It goes with everything, is sleek and elegant, and can be dressed up or down. Highly recommend you add it to your closet! This top is so cute! I love the stripes and the fun touch from the little peplum. Love how you styled it, lady! 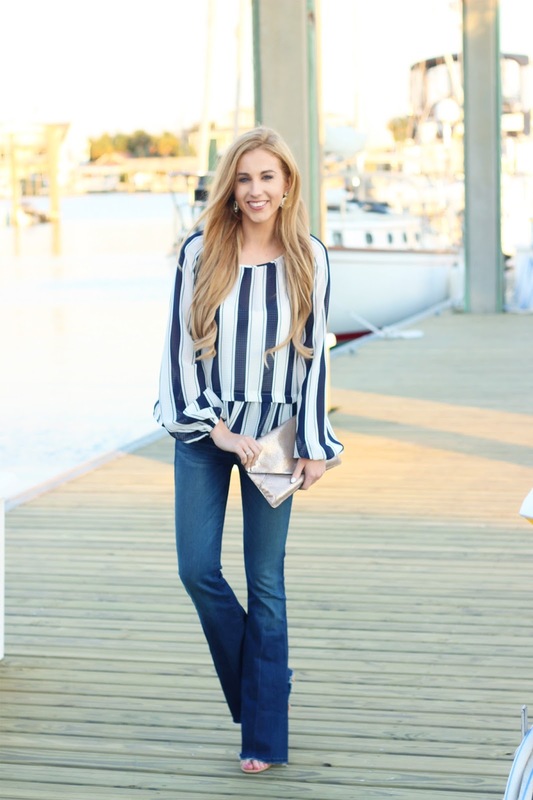 I love this top, and I am also loving that boot cut jeans are coming back into style!